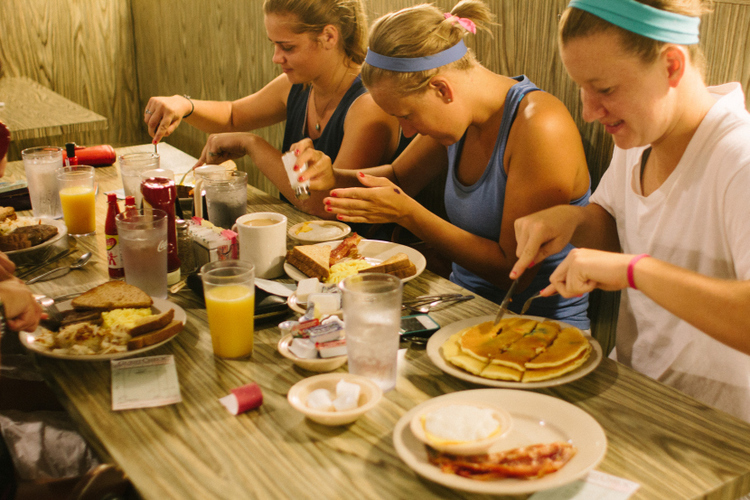 Welcome to Ye Olde Waffle Shoppe, Chapel Hill’s beloved breakfast and lunch restaurant! We offer traditional breakfast and lunch classics all day, made-to-order from our open kitchen. WE WILL BE CLOSED SUNDAY, APRIL 21, 2019 FOR EASTER. HAPPY EASTER! Ye Olde on WRAL’s Tar Heel Traveler!